Just a tip on placing the strips in the aperture. I glued all the border die cuts to a strip of clear acetate. The acetate is invisible but it keeps all the borders together and flat. I cut the overall circle panel a little smaller than my card front and covered my card front in gold foil. It gives the card a nice gold "frame". This next card uses the Kibitzing Two stamps and coordinating die set. The background is made with just a scrap piece of paper and blended gold ink. The menorah is stamped, colored with Copics, and then die cut (love the coordinating die for this image!). Instead of stamping the flames, I used gold sequins. What lovely cards!! The first one with the strips is so pretty. I love how you colored the strips. The second one, I love how you did that background. Great design on both cards!! Beautiful cards, JJ! I love everything about each of them. Great cards!! 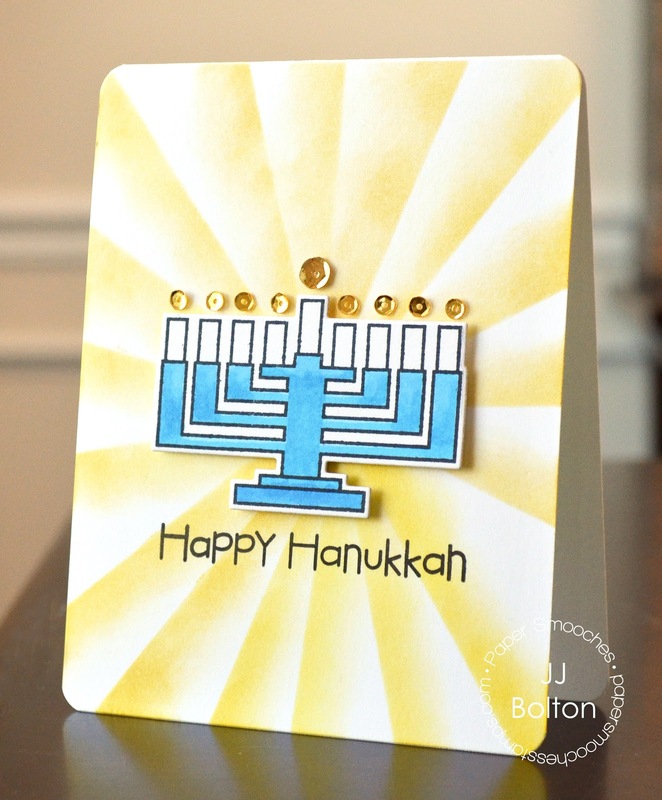 I really love the Hanukkah card!! Gorgeous cards, JJ! 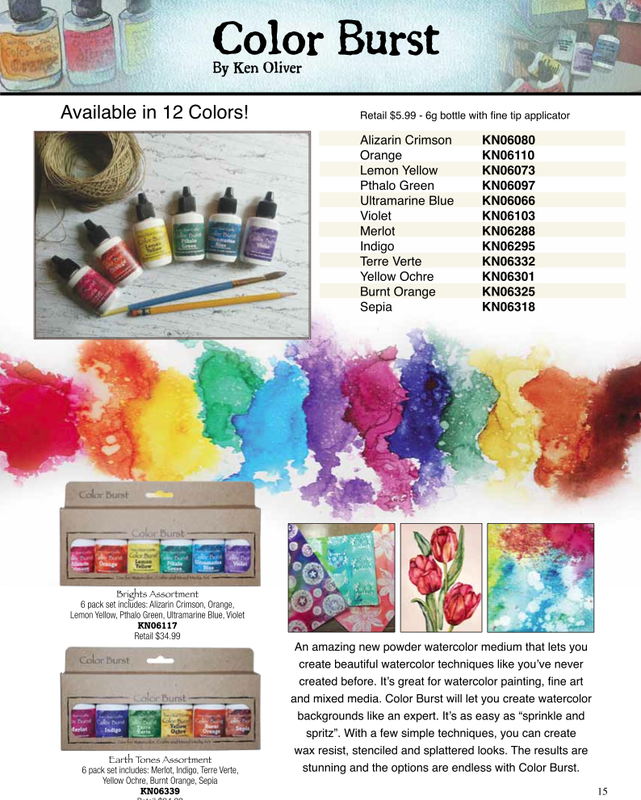 Your water coloring on the first one is just beautiful...thanks for the tip on placement :) I love how you blended your ink to create the rays on the 2nd card, and how you used sequins for the flames...so pretty!